When asked what my favorite thing about Speedhunters is, my usual reply is the way we’re able to simultaneously showcase car culture from many different corners of the globe. Not just the popular cars and bigger events, but the lesser known underground stuff as well. No matter how long I’ve been involved with Speedhunters, there’s always something satisfying about clicking over to the homepage and seeing a lineup of cool cars and stories from across the world. At any given time, there could be a story about a car built to carve the canyons of California; a masterpiece created by a bespoke outfit in Europe; or a time attack monster from Japan. If variety is the spice of life, then it’s good to have several extra-strength breath mints available while reading Speedhunters. What I enjoy even more is when we get the chance to showcase cars that combine elements from multiple parts of the planet. 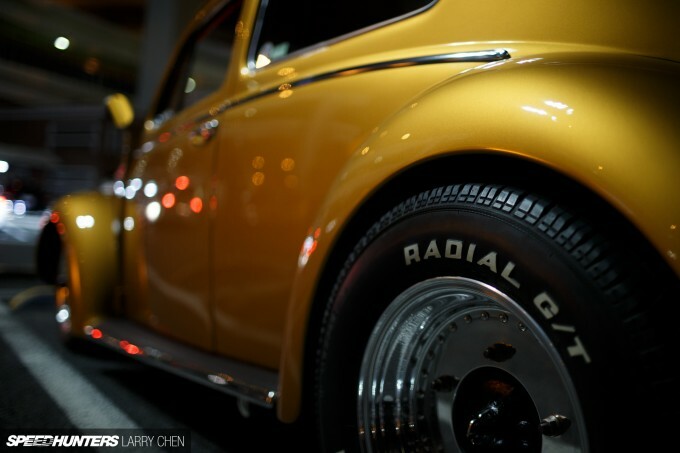 This ’56 Volkswagen Beetle is most certainly one of those cars. 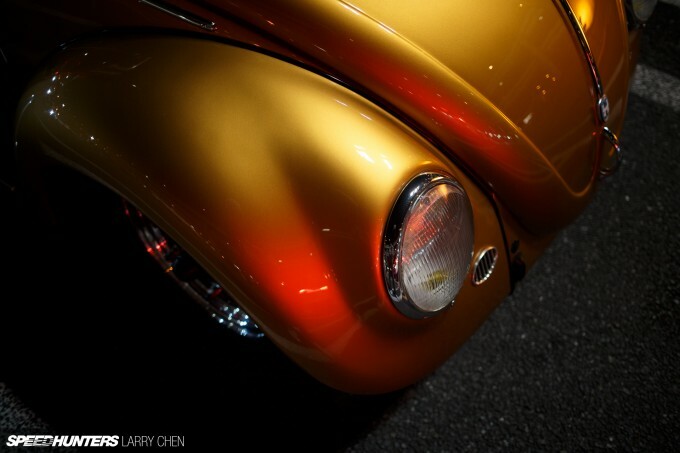 For this story of international automotive passion, we find ourselves in Yokohama, Japan, with a car that was born in Germany nearly 60 years ago, built in a style pioneered on the sun-drenched streets of California. 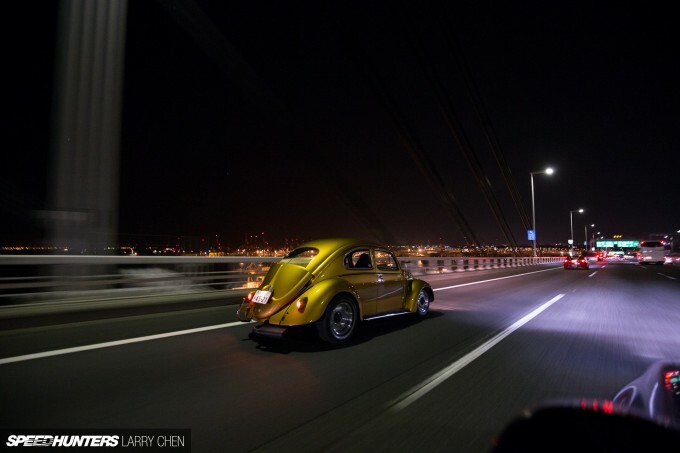 The owner’s name is Manabu Kanda and besides being a passionate VW enthusiast, he also operates a blog called Kalifornia Look, in which he documents daily life and the cruising scene in and around Yokohama. 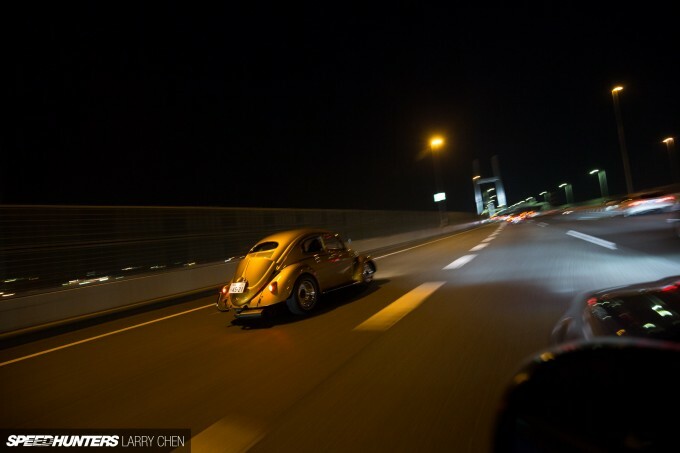 If the name and the car look familiar, that’s because Kanda-san is actually a friend of mine, and last year when I went to Japan he helped organize a Speedhunters Yokohama cruise night with some of his friends. We had a great time rolling around the streets of ‘Y-Town’ – as the locals call it. 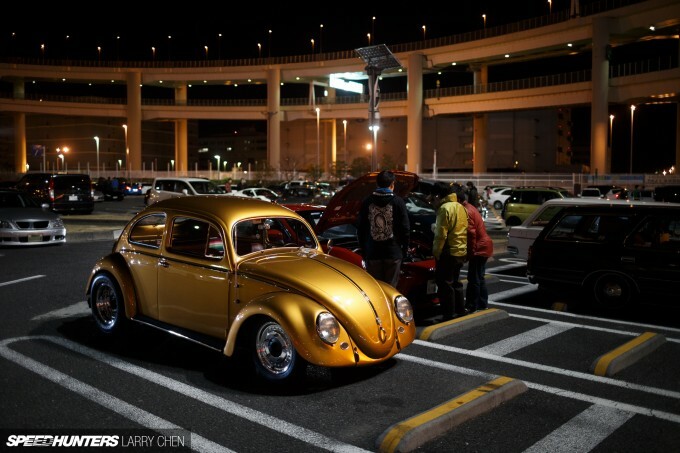 It just so happens that when Larry was in Japan last month for Tokyo Auto Salon, he and Dino headed to Daikoku Parking Area one night, where they randomly encountered Kanda-san who was out for a cruise in his VW. 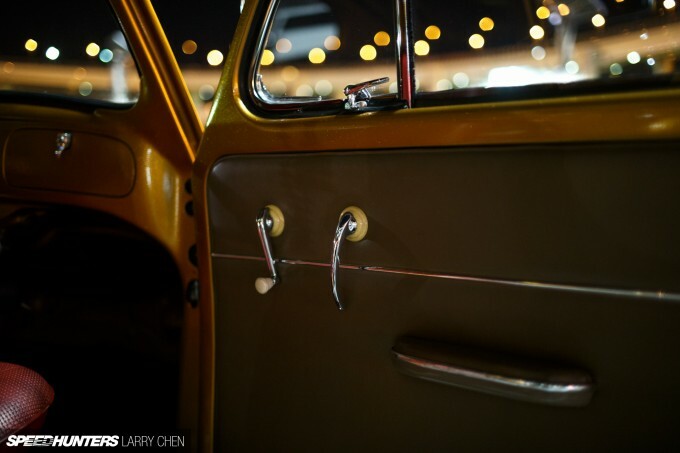 The car really struck a chord with Larry, so he decided to shoot it right then and there. 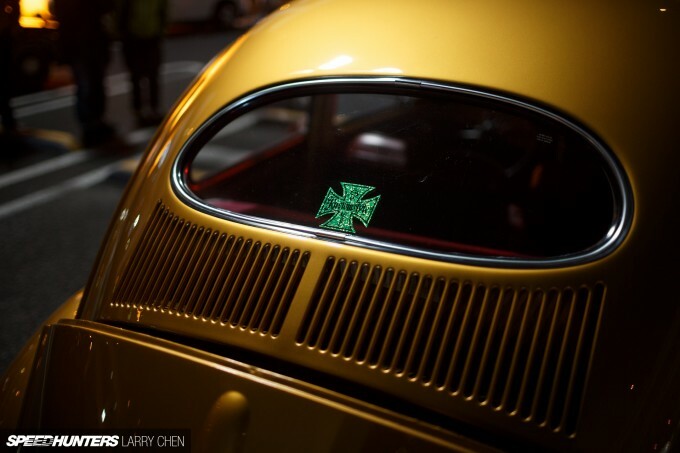 The wonderful thing about Japan is that regardless of what automotive subculture interests you, there’s guaranteed to be a group of people there who follow it. 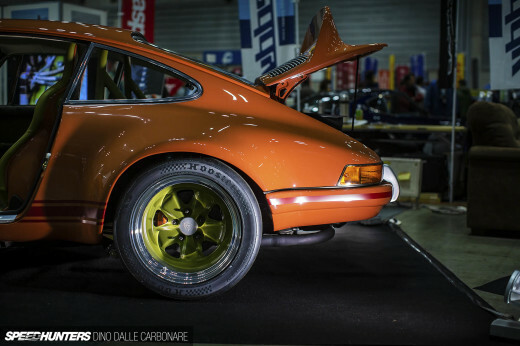 Actually, they don’t just follow it – they obsess over it like few others, and the cars they build speak to that. 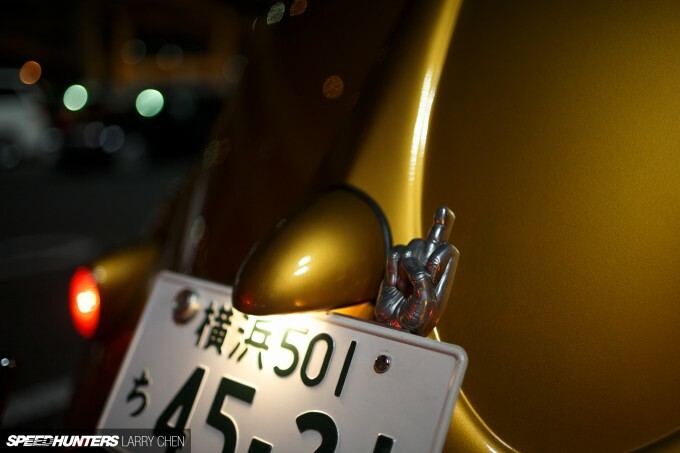 Whether it’s an old Mini Cooper or a low and slow American custom, there’s a guy or gal in Japan who lives for it. 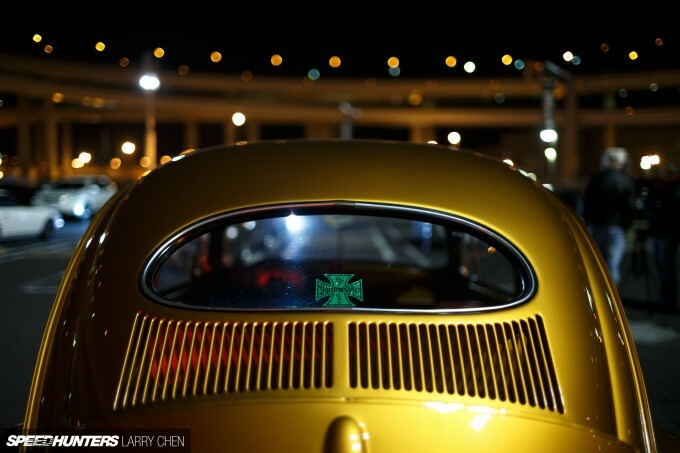 Air-cooled Volkswagens are no different. 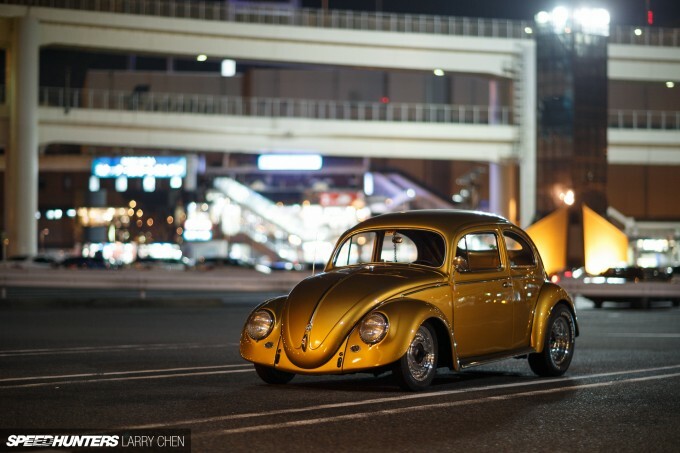 In fact, Japan is home to one of the world’s best air-cooled VW scenes, with maniacs doing everything from full restos to racecars, to completely authentic Cal Look builds. 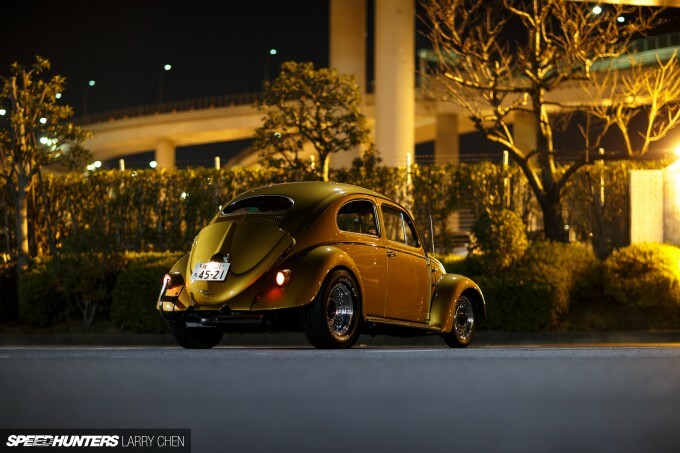 Kanda-san has owned his ’56 oval window Beetle for 15 years. 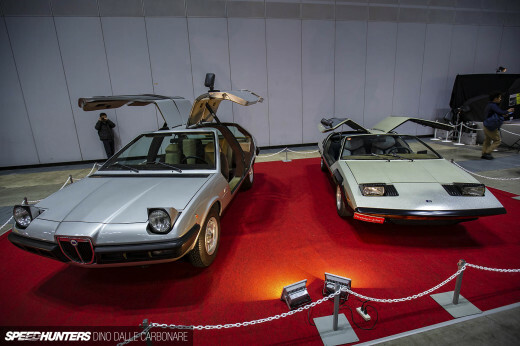 It was actually the first purchase he ever used a loan for, and like a lot of privately owned cars in Japan, it’s been a story of constant refinement and improvement. 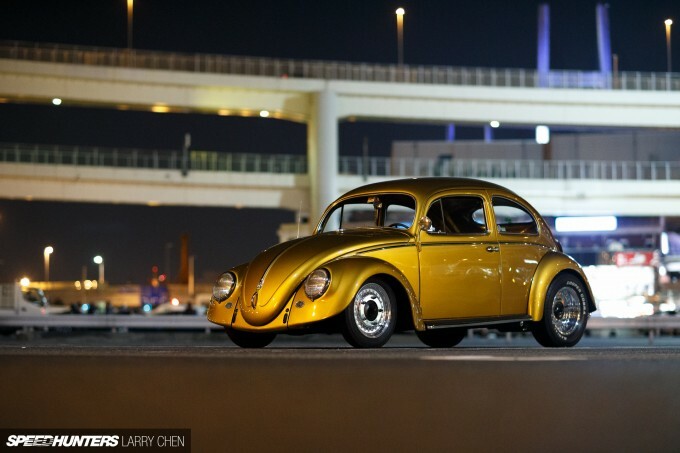 In fact, the day of our Yokohama cruise night last year was when he picked up his Beetle from K-Line – a local body shop that had just treated the car to some exterior refreshing and a brand new coat of paint. 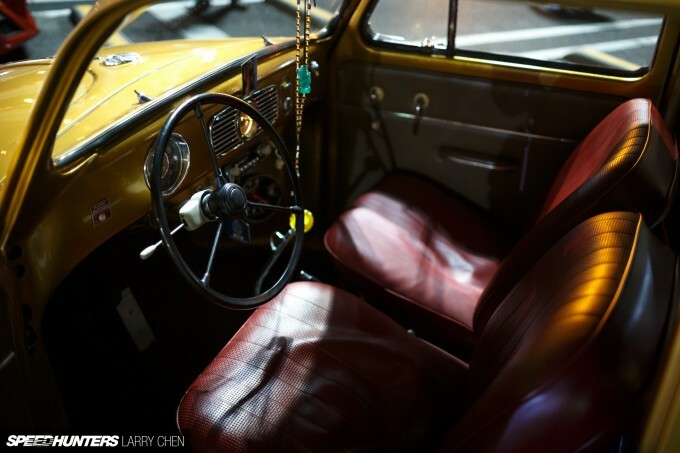 The car was a turquoise green in its previous iteration, but for the new color scheme Kanda went with a color he calls ‘Beer Gold’. It could also be considered a dark form of champagne gold, but because Kanda-san is such a fan of drinking cold brew he thought the chosen name was a nice fit. 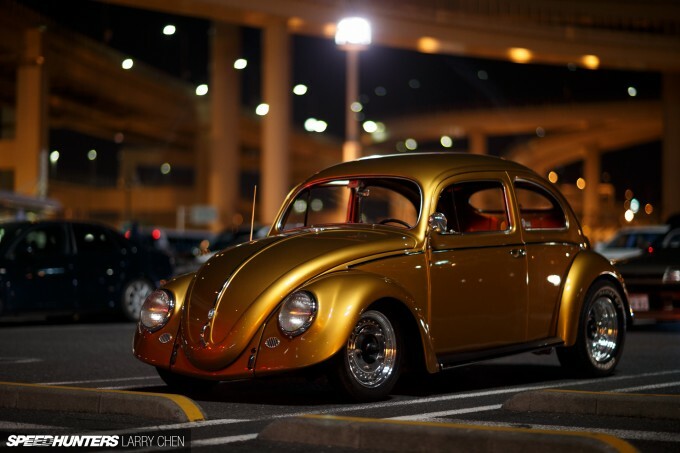 Whatever you want to call it, the color looks gorgeous and manages to perfectly capture the traditional style of a Cal Look VW, while also standing out from the crowd in a big way. 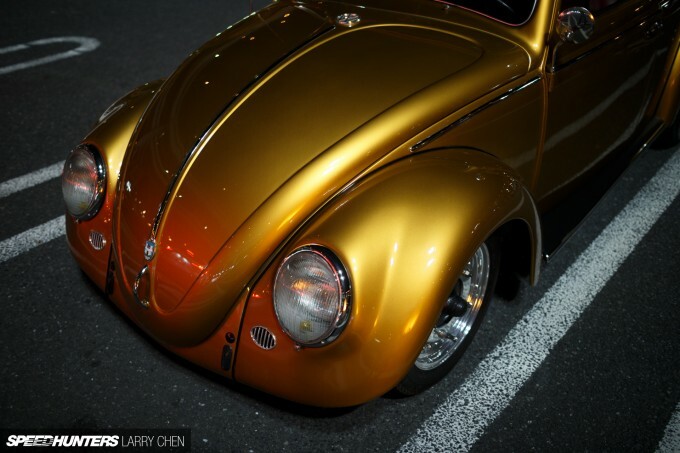 Aside from the paint, the body of the vintage VW has received other light custom work. The bumpers have been removed for a cleaner look, while other items like the front turn signals have also been smoothed out. 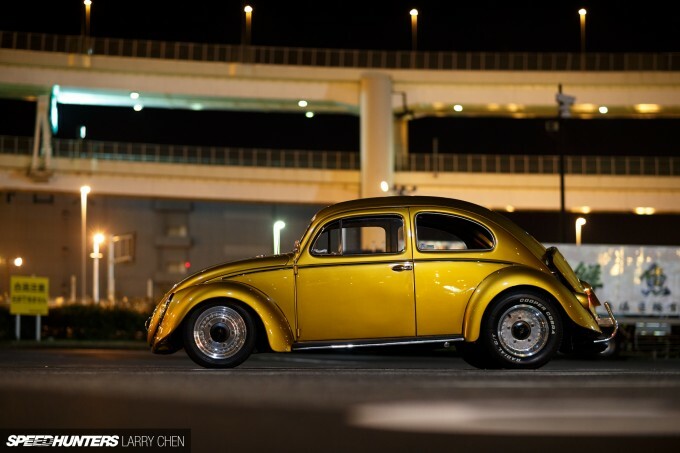 While many VW owners like to go with a slammed stance, Kanda-san has instead gone for more of a street machine vibe with a narrowed front beam and a significant rake. It looks mean without being over the top. 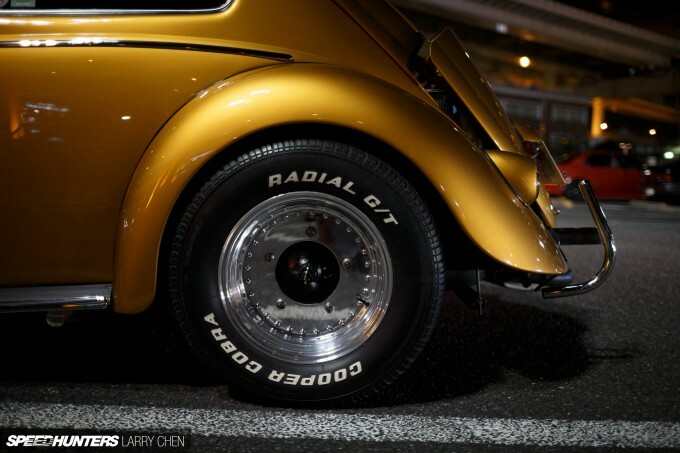 The wheel and tire combination also does a lot to contribute to the VW’s old school look. The classic 15-inch Centerline wheels measure just 3.5-inch wide in the front, with much larger 7-inch numbers out back. The tires also add to the retro style, with skinny 135-width Michelins in the front and big 215/70 Cooper Cobras in the rear. 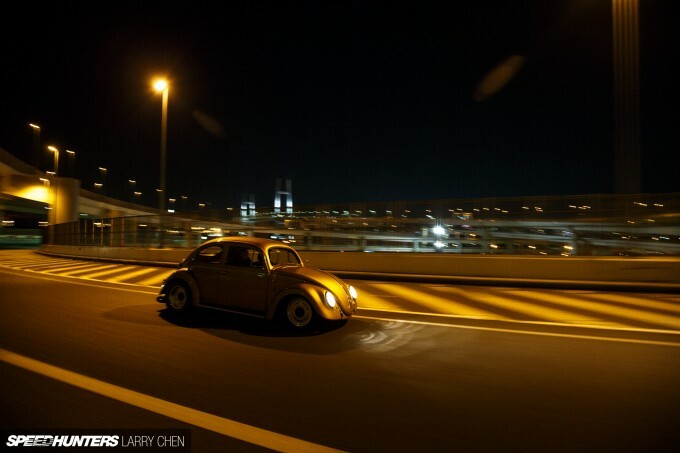 Of course, a proper Cal Look inspired VW should have plenty of grunt to back up its clean style. 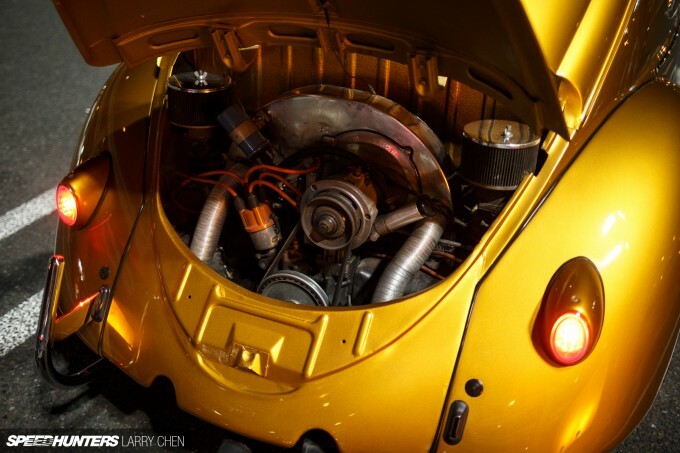 And while Kanda’s Beetle is by no means a racecar, it’s seen plenty of work beneath the decklid. 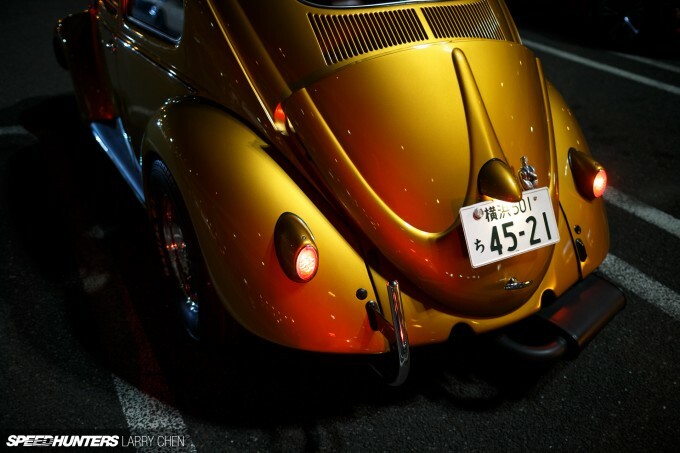 The 1,776cc engine engine was built by a Tokyo-based VW workshop called One Low and is topped by a pair of Kadron carbs. Having seen the car in action last year on the streets of Yokohama, I can attest that the little oval window moves very well, and the induction sound from the carbs provides a lovely soundtrack. 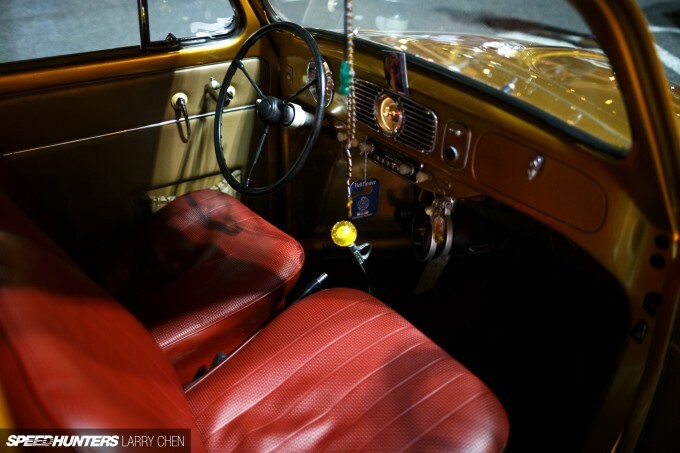 The interior is almost completely original, with the pair of red bucket seats contrasting nicely with the Beer Gold paint. 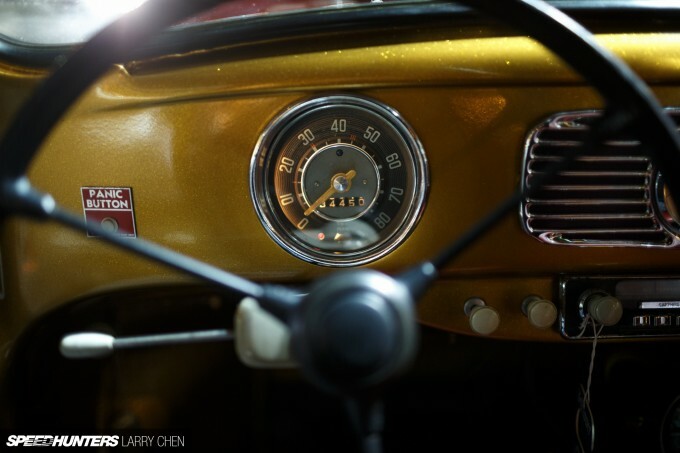 The original steering wheel has also been swapped out for a thin tri-spoke piece from an earlier car. Don’t forget the panic button either! 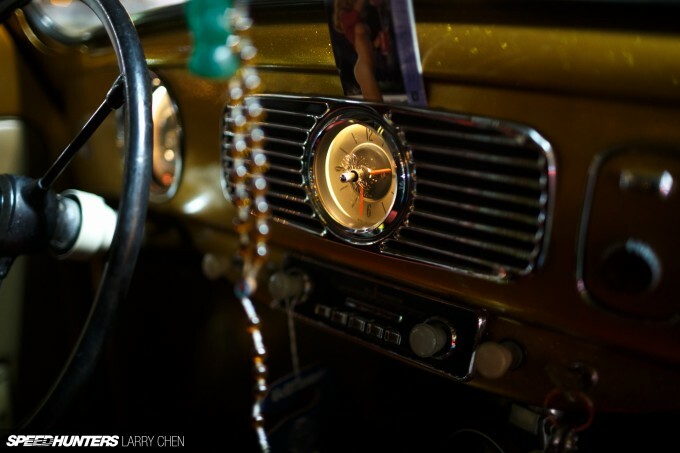 The only big aftermarket additions inside the car are an Auto Meter tachometer with a custom mount, a Hurst shifter and a Moon gas pedal. 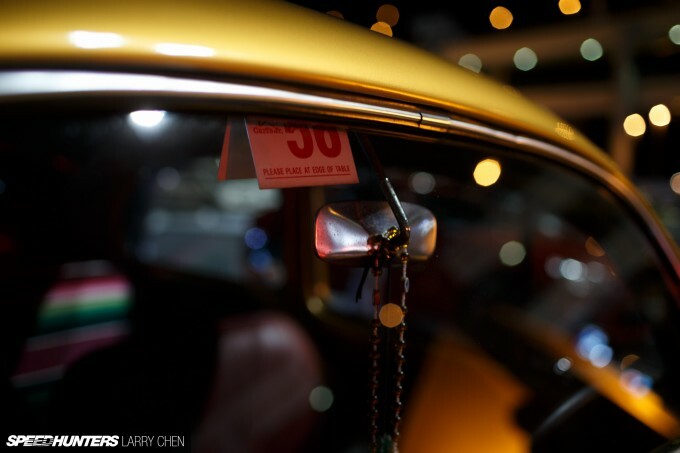 I guess you can leave it to the Speedhunters to venture to Japan for the glitz of Tokyo Auto Salon and come back with a story of a guy and a homegrown Volkswagen from the ’50s. 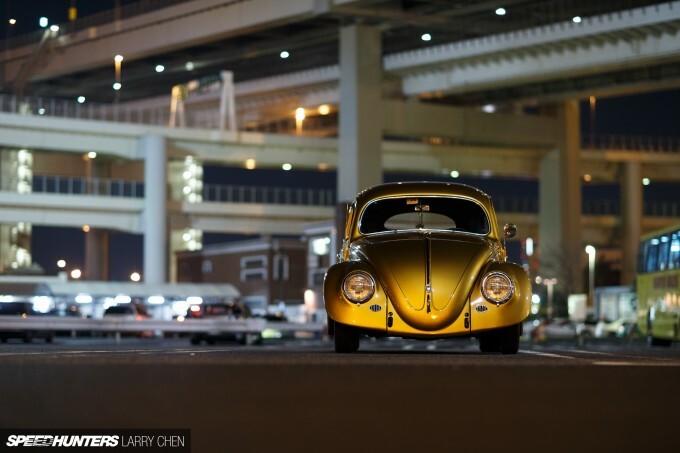 Cars like Kanda’s VW aren’t just cool and exciting, they make the world feel like a smaller place. That’s something I think anyone whose ever loved car culture from a far-off land can relate to. Hit the panic button and can of German Beer pops out hahaha! S Will you guys be covering Sacramento Autorama this President's Day weekend? I'll be there on Saturday! Mike as always, great write up and pics. One little picky bit though. You mentioned that "the induction sound from the carbs provides a lovely noise" So where's the video? I have seen it in the comments a lot lately that videos are needed for such cars. 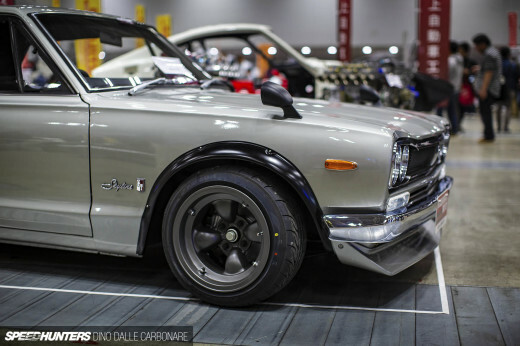 C'mon Speedhunters, where's the sounds to go with great photography and stories? Same here. Would love to have one some day. Mike Garrett That's so cool. I live about 20 minutes from the venue, so I'm definitely looking forward to what draws your eye. Chris 'Haffy' Hafner We appreciate your feedback Chris and we have been including video clips in a lot of our feature stories lately. You'll have to understand though that's it's just not always possible for us to capture video footage to go along with every story we produce. Quality photography will always be our priority, but we've definitely been taking notice of these comments and it's something we're working on! Mike Garrett It was used trough the 50's too, but only in the "standard" models. I wish you guys took pics of the peeps that own the car in at least one show. Half of this article talks about Manabu Kanda and the car scene that he's apart of, but you never show him. Great pics & great writing! Sorry for the ignorance but what does the panic button do? I like the Daikoku location, but what makes it so popular? It is big? Well-lit compared to other spots? Centrally located? Fairly free of "official" presence? What? Ice Age Pretty much all of that actually. There's also a good number of places to eat and such. A couple years ago I did a story about Daikoku itself if you want t check it out. apex_DNA Mike Garrett Nice! Maybe I'll see you there. ImranDaAwesome Dont take my word for it but I think that its the horn. Mike Garrett Ice Age Okay, got it. I will have dreams about this car..and its beauty. Oh and can we find this absolutely insane '02? I want to know more about it and I might not be the only one. It's probably in Japan judging by the absolute insanity of the exterior. BlackMesa533i Holy heck. Yes more of this must be found. 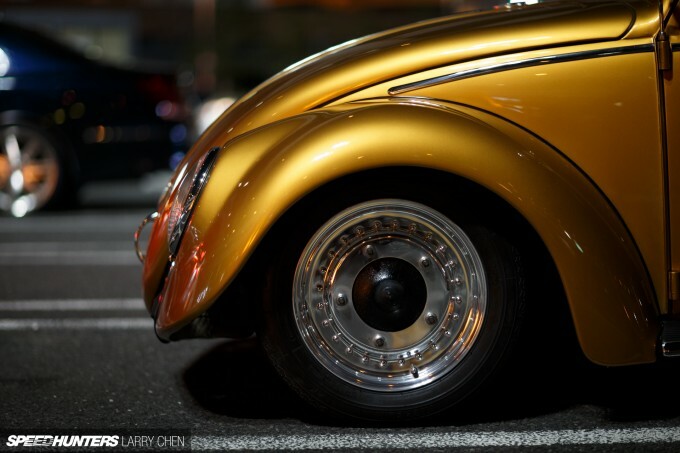 I had(have) a model of an early beetle in an almost-identical colour combination - Dark gold on a similarly dark red. 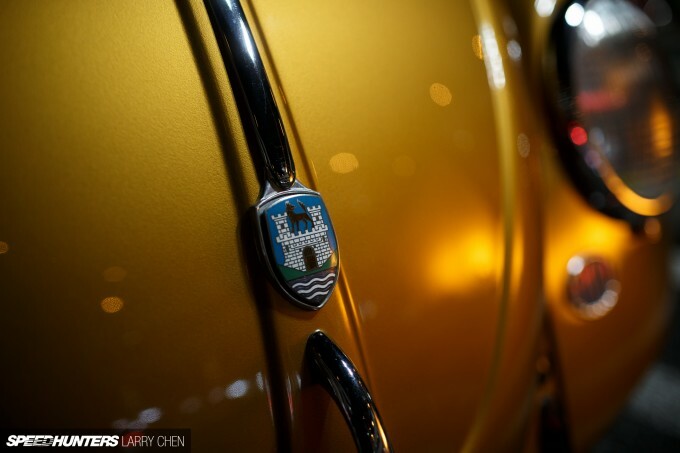 I think it is modelled after the 1millionth beetle made. 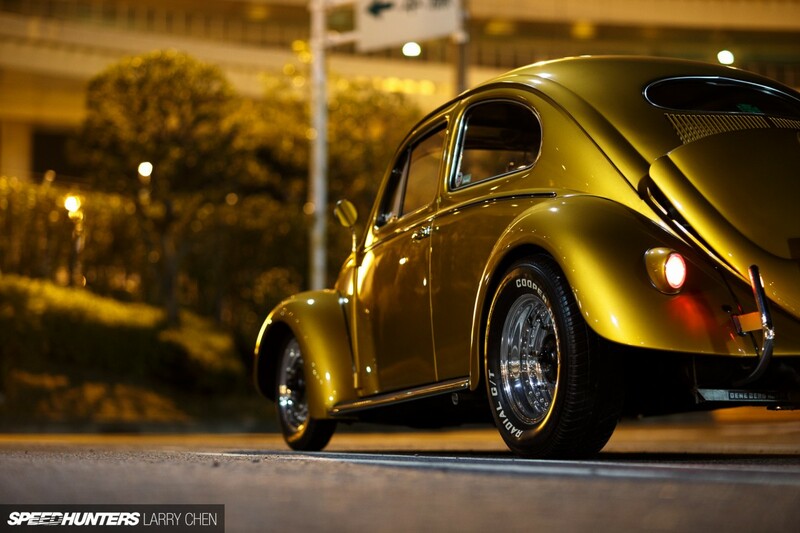 This one looks fantastic - love Cal-look VW's.. If the hood is propped to let hot air out then ok fine I guess... but it would look a lot better with it shut right. 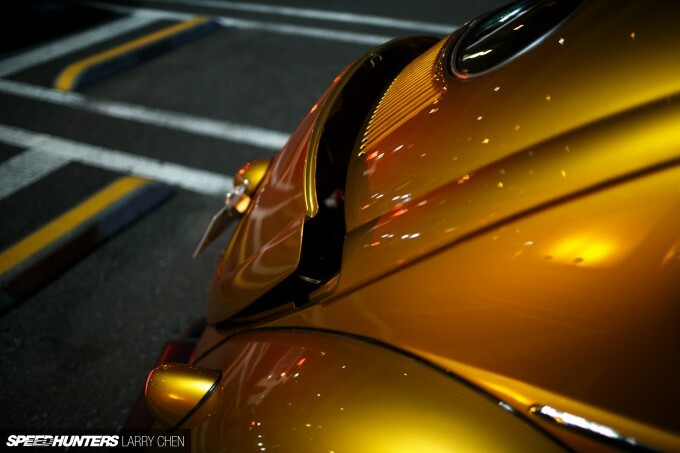 That's a very cool little Bug! Deck lid stand-offs are not the way to go. The convertible deck lid was the best, but they're extremely hard to get hold of (and always were). When I built my '61 back in the late 90's the body shop actually fabricated an identical reproduction and it was a thing of beauty. All metal. Mike Garrett apex_DNA Will we see any coverage of the event on SH? Would love to see a properly lit daytime/garage story on this one. Don't get me wrong, I love the photos, but I want to see the thing properly!